Rwanda was one of the last countries in Africa to be colonised, first by Germany in 1895, then Belgium from 1916. The majority Hutu, ruling Tutsi and smaller Twa minority intermarried and shared the same language, religion and culture. However, colonists suggested that the Tutsi were a superior ‘caucasoid’ race, favouring them with privileged positions in society. Belgium introduced identity cards to Rwanda in 1932. The cards stated ethnicity. 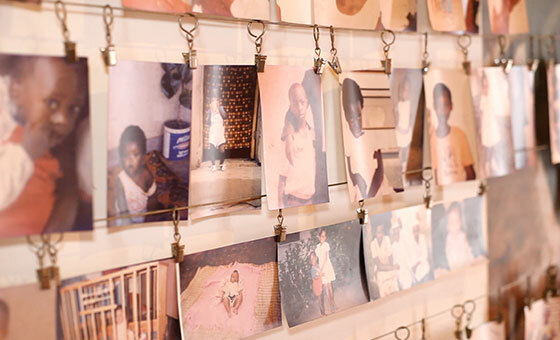 During the 1994 genocide, these would determine whether Rwandans lived or died. In 1962, Rwanda gained independence and democratically became a Hutu nationalist one-party state. Massacres of the Tutsi followed. 700,000 fled abroad. In the 1980s, as Rwanda’s economy failed, the Hutu elite tightened its grip on wealth and power. Tutsis in exile were prevented from returning. Many joined the Rwandan Patriotic Front (RPF). On 1 October 1990, the RPF invaded. Every Tutsi in Rwanda was branded a member of the RPF’s ‘fifth column’. The message was reinforced by extremist media and hate radio. International pressure led to talks in Arusha, Tanzania. In August 1993 the Arusha Accords stopped the civil war and a small UN peacekeeping force was installed. However, the Accords overlooked the threat posed by growing ethnic division. On 11 January 1994, UN Commander General Dallaire alerted UN headquarters to information about ‘Hutu Power’ militia preparing for mass murder. He stated his intention to seize a weapons cache identified by an informant. Kofi Annan, then Dallaire’s immediate superior, ordered him not to since such action would breach the force mandate. 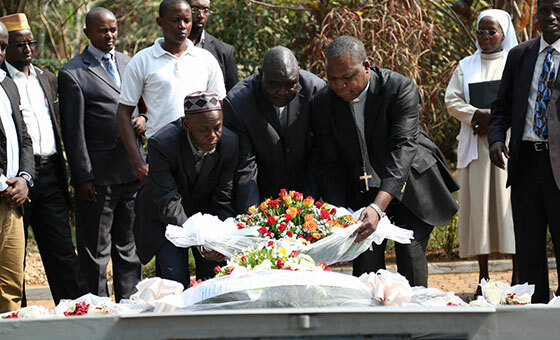 President Habyarimana’s plane was shot down on 6 April. Mass killing of Tutsi and moderate Hutu began within the hour. From 12 April, the Tutsi population was the focus of killing. Massacres took place in churches, hospitals, schools and village streets. Following the murder of ten Belgian UN peacekeepers, Belgium recalled its UN troops – the backbone of the mission. Now there would be almost no international protection. By the time the RPF ended the killing in July, a million people had been murdered. 250,000 to 500,000 women had been raped, many deliberately infected with HIV/AIDS. Many children were orphaned. Five years on, 300,000 children lived in child-only households. The International Criminal Tribunal for Rwanda (ICTR) was established in 1995, based in Arusha, Tanzania. Ten years after the genocide, it had convicted 17 people. – Lt Gen Romeo Dallaire, in fax alerting UN HQ of intention to move against preparations for mass murder in Rwanda, 1994. Dallaire was denied permission to act. 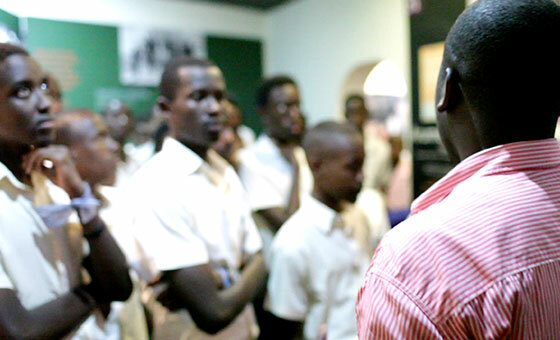 Established by Aegis in 2004 at the request of the Rwandan authorities, the Kigali Genocide Memorial is a site of education and remembrance where some 250,000 victims lie buried. Now informing Rwanda’s national curriculum, Aegis’ work on peace education in Rwanda is helping a new generation overcome the legacy of fear and mistrust left by the genocide. Leaders from countries in crisis have visited the Kigali Genocide Memorial and want what’s being achieved with peace education in Rwanda. Help us enable them to prevent atrocities.